Abbott recently held 3 STEM ‘Seeing is Believing’ days for local teachers in Sligo/Mayo, Longford and Do negal. They welcomed science teachers and guidance counsellors to their diagnostic facilities in Finisklin Business Park, Sligo; Lisnamuck, Longford Town and their diabetes facility in Lurganboy, Donegal Town. The one-day visit to each location is part of our BITCI STEM ‘Seeing is Believing’ initiative. Seeing is Believing supports ‘Smart Futures’, a collaborative industry and education framework raising awareness of STEM (Science, Technology, Engineering & Maths) careers at post-primary level. The goal of Seeing is Believing is to give STEM teachers and guidance counsellors a deep and engaging insight into leading STEM sector companies and the innovative and diverse range of opportunities and careers that exist within the local region. Working with leading local STEM sector companies, it is a one-day tour with a series of talks from employees in the sector. The Seeing is Believing programme is one of a range of BITCI programmes that Abbott supports across its nine sites in Ireland as part of their strategic philanthropic outreach. The teachers had the opportunity to meet employees with diverse backgrounds and find out first-hand the different careers offered in the healthcare industry, as well as learn where there are skills gaps and future employment opportunities for their students. These unique experiences have been inspiring for the teachers involved, especially for a Longford teacher who now will take part in a stakeholder forum on STEM in the Midlands as a direct result of attending the Abbott ‘Seeing is Believing’ day. Imagine the possibilities they will also open up for their students! 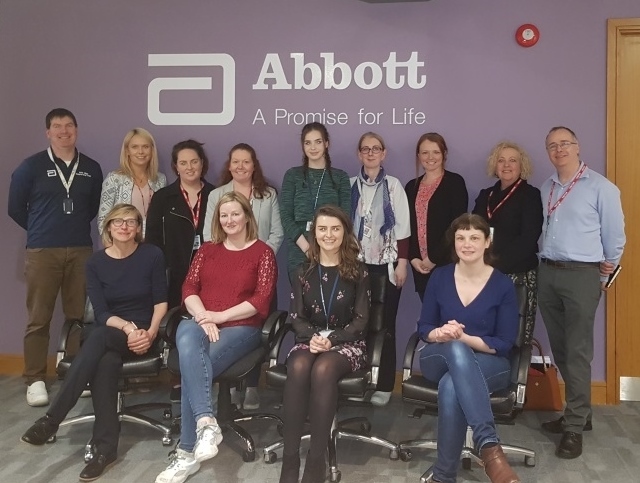 The upcoming Abbott ‘Seeing is Believing’ series will expand to two new locations this academic year- Abbott Ireland Vascular in Clonmel, Tipperary and Abbott Ireland Nutrition Division in Cootehill, Cavan. For further details on these events, please contact Programme Manager Germaine Noonan at gnoonan@bitc.ie.